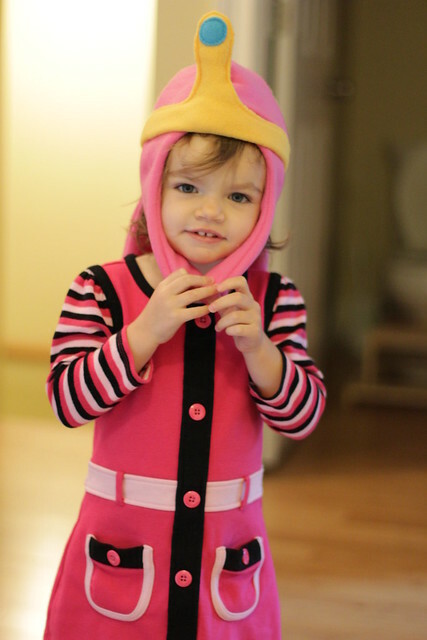 Princess Bubblegum Hat - Kellbot! | Kellbot! 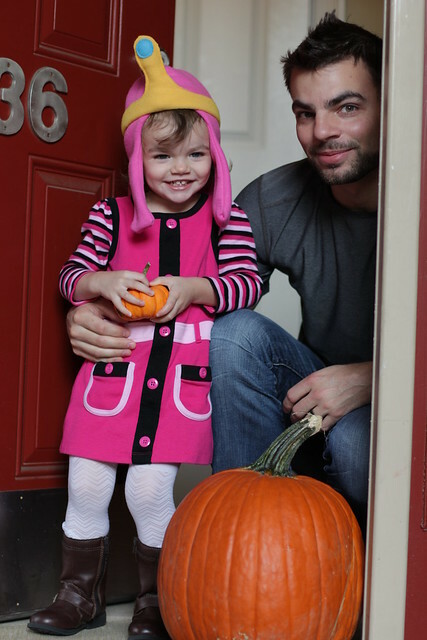 The toddler is Princess Bubblegum for Halloween this year, and I got a BMO dress off of Think Geek. For the record, Princess Bubblegum is pretty much the only princess I’ll ever allow. I used a pink dress she already had in her closet, and made a quit hat with some fleece I’ve had in my closet for years, so the costume cost zero additional dollars, which is my favorite amount. The base pattern for the hat is this earflap hat pattern, I just extended the ears to be longer and added a panel in the back. I freehanded the crown (which is a separate, removable piece) and stuffed the top of it with bits of scraps so it would stand up. I hand sewed the “jewel” on afterwards, but if I did it again I’d probably do it before sewing it together. The whole project is a little slapdash (and turned out a bit too small because I didn’t measure properly) but not bad for a quick costume.